KCPS freshman Nia Abson, right, receives a wireless hotspot from a Sprint representative. Sprint is providing the wireless devices free of charge to low-income students who don't have internet access at home. Sprint spokesman Doug Michelman says an estimated 5 million U.S. families with school-age children don’t have access to broadband. 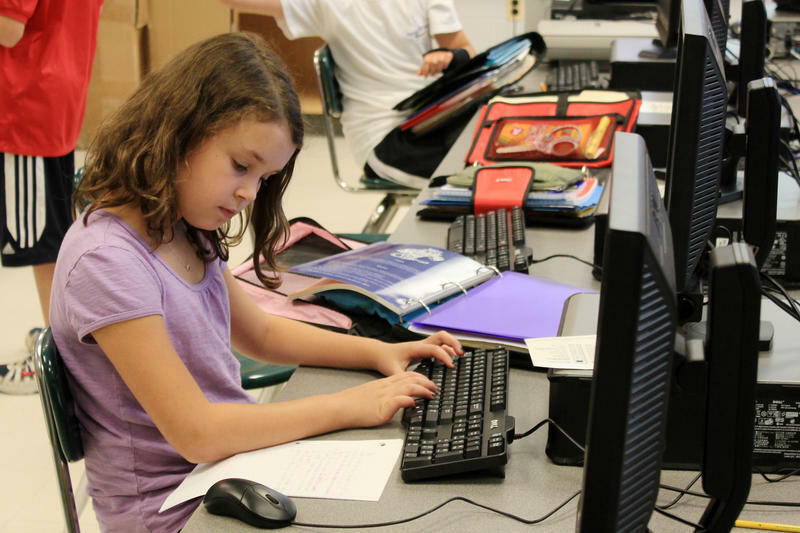 “High school students who don’t have internet access at home are just at a terrible disadvantage when asked to complete their schoolwork and compete,” Michelman says. Michelman says the Kansas City-based Sprint chose Central as a test site for the company’s 1Million initiative, which it will roll out nationwide next year. Students who don't have internet access at home are at risk of falling further behind at school as more teachers assign homework that requires web access. That trend has been called the "homework gap," and Sprint wants to help close it. On Tuesday, the Overland Park-based company announced a new initiative, the 1Million Project, which will put mobile devices and free wireless service into the hands of one million students across the country.